Cross-Cultural Management Company is a Bangkok-based management consulting company offering expatriates and Thais cross-cultural team building and management-skills workshops. We provide learning situations which are frank, enlightening, results-focused, yet cordial and highly entertaining. 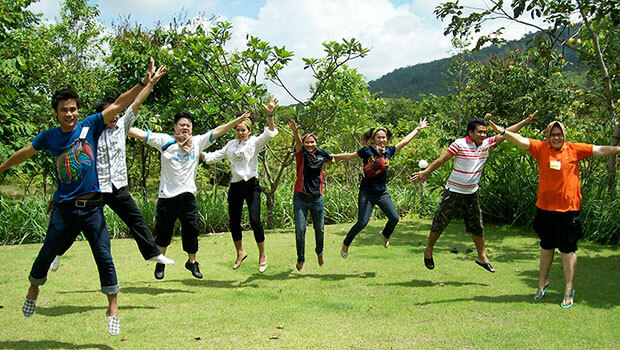 The teams leave these courses energized, enlightened, and happier with their colleagues. Cross- Cultural Management has uncovered many of the keys to making cross-cultural operations work much more successfully, and has continued to show organizations what enormous benefits they can hope to achieve, once they gain understanding and respect for the cultural factors at work. As a visible result, the members of a team find out how to modify and improve their management approach, and see huge growth in motivation and cooperation among their colleagues. Results: more harmony and productivity. Although best known for our work with Westerners and Thais, we have repeatedly helped major Japanese companies bridge the “Asian-Asian gap” which can be quite daunting. Cross-Cultural Management also tailor-makes courses, and conducts special projects for clients with unique needs. Over the past three decades, we have helped our clients with hundreds of unique projects, from almost every conceivable type of enterprise; from start-up assistance for hotels, refineries, auto manufacturing, consumer-product companies, and high-tech operations, as well as NGOs,aid organizations, and every UN agency in the region. We guide them through the analyses and solutions for special communication and teamwork challenges. And most come back to us, as they move to tackle the next level of challenge.